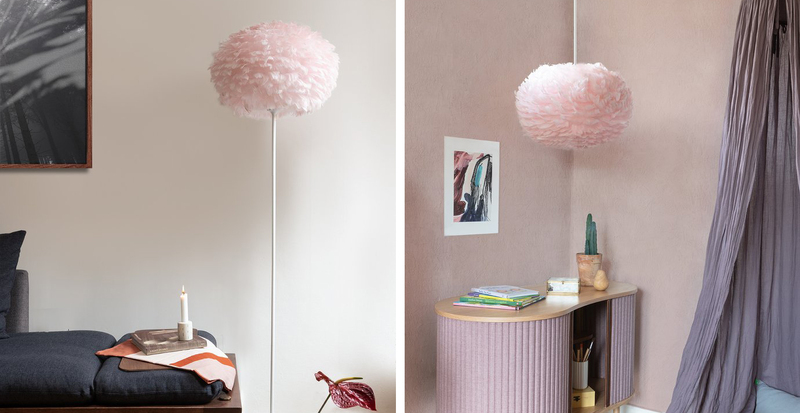 The stunning, Danish, Light Rose Eos Feather pendant light is oval in shape and made from genuine Goose feathers, each carefully positioned on a paper core by hand. This listing is for the medium Light Rose Eos feather pendant shade. The Eos pendant is also available in white, light grey & light brown, in various sizes.